The 'Flora and Fauna' country set cards are inspired by the beautiful British countryside. They feature popular animals from 'The Country Set' but this time have been brought to life in watercolour pen and ink. 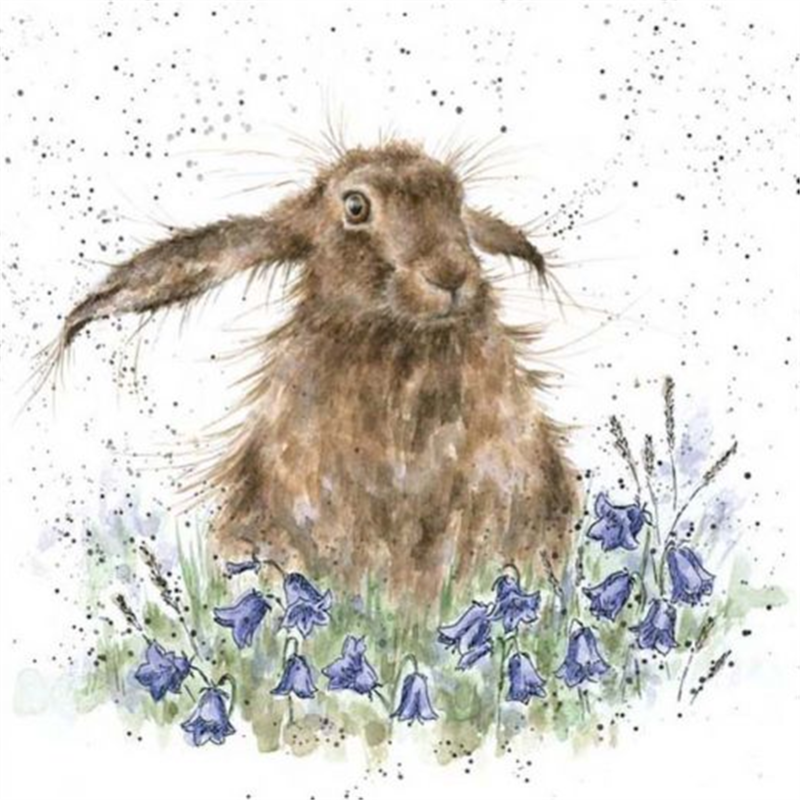 This design features a little hare with a twinkle in her eye. The image is printed on high quality, textured board and is 150 x 150mm in size. The card is blank inside for your own message.